Herbs & Spices are a great way to add flavor to your meals, we make batches of our favorite spice blends to keep them free from fillers and as low in carbs as possible. 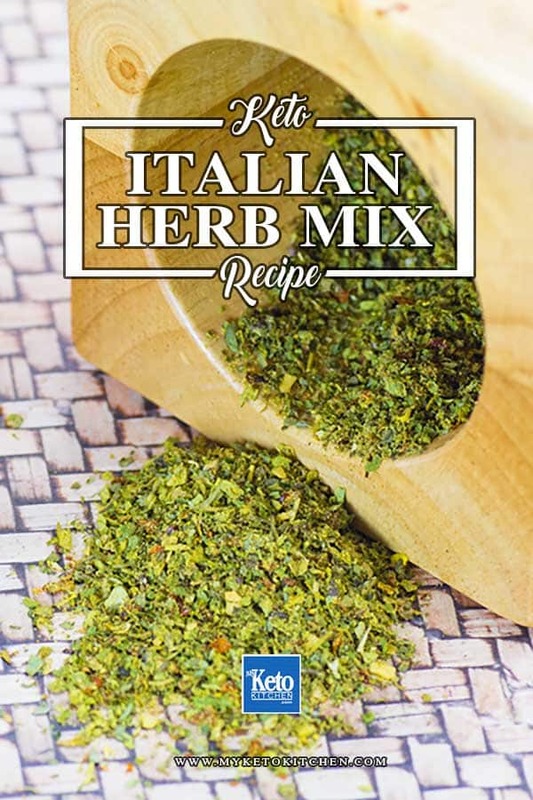 Our Italian Herb & Spice Blend is a delicious mix that we just had to share! This recipe is a blend of our favorite Italian herbs and spices, we add this dried mixture to grated Parmesan cheese to make the delicious breading for our Parmesan Herb Pork Schnitzels and we’ve also added it to burgers, skillet pizzas and sprinkled it onto our Cheese Chips. This recipe is made entirely of dried spices and will keep for months inside an airtight jar. 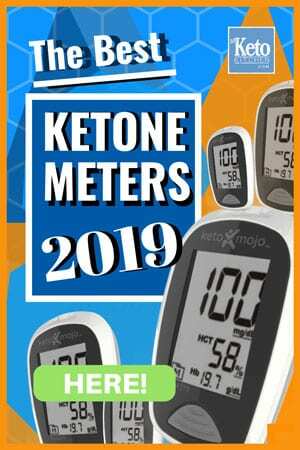 The recipe makes approximately 24 teaspoon-sized serves. How to make Italian Herb and Spice Mix – this simple recipe is one that every kitchen needs! In a mixing bowl combine all ingredients well and store in an airtight jar. 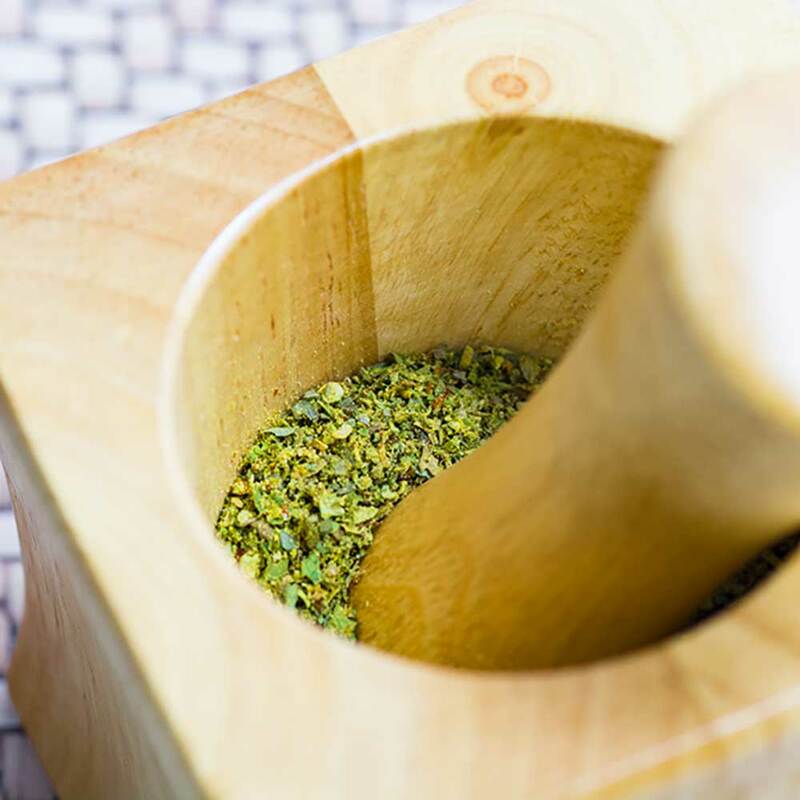 Before using, place your desired amount into a mortar & pestle and grind for 2 minutes to release the flavors. 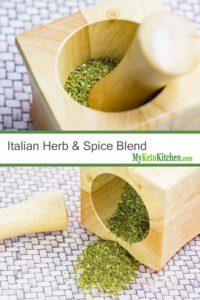 To make a larger batch of Italian Herb & Spice Blend, simply adjust the serving amounts in our easy to use recipe card above.